Ford is working on a patent for the system with the help of InterMotive Inc., of Auburn, Calif., which developed and will sell the system. Ford Motor Co. has developed technology to give police officers more protection against someone sneaking up behind their vehicle. The surveillance mode feature, available on the Ford Police Interceptor, uses Ford's existing driver-assist systems to monitor the area around the rear of the vehicle. If a person approaches the vehicle from behind, the system sounds a chime, locks the doors and rolls up the driver's window. Officers can use the system while the vehicle is parked, and an image of the back camera is displayed in the rearview mirror. An officer can turn off the system in areas with high traffic, where many pedestrians would constantly set off the chime. 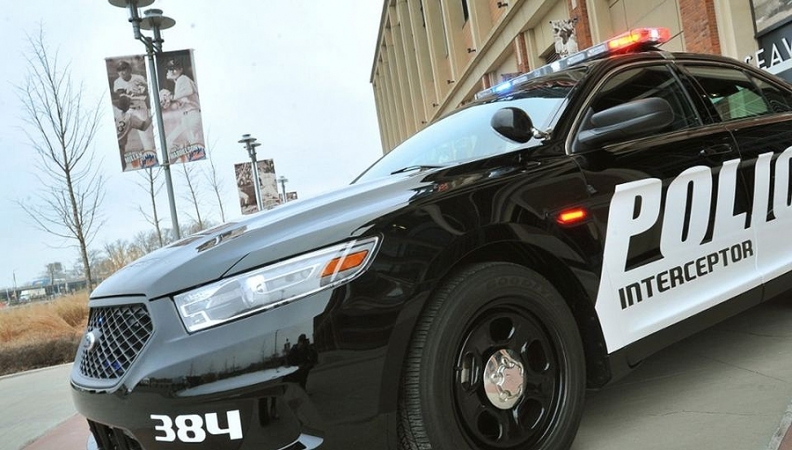 Officers have to perform tasks, including writing reports, while in their vehicle, which leaves them off guard and vulnerable to an attack, especially at night, Ford said. Randy Freiburger, a Ford engineer that works on the design of police and ambulance vehicles, thought of the idea after riding along with a deputy from the Los Angeles County Sheriff's Department in Compton, Calif. The deputy brought him to a crime scene. "After arriving on scene, there were several people and she went on foot chase," he said. "I ended up staying at the car alone. It was difficult to be aware of all the people around me at all times under those conditions." Freiburger said that officer security is a critical concern. "Unfortunately, there are people with bad intentions who sneak up on police officers," he said in the company statement. "This system builds upon the Ford Police Interceptor DNA that puts safety and security at the top of the list." The surveillance system sells for $248.33 as a stand-alone option and also is offered as part of a larger security package, The Detroit News said. The company says it plans to offer the system to the general public eventually.